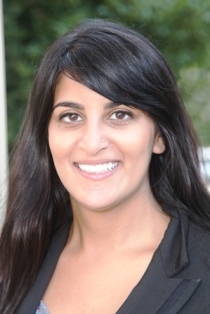 Deepti Panjabi is Read Charlotte’s Data and Research Manager. She currently leads the Data Collaborative. Prior to Read Charlotte, she served as Director of Teacher Support at OneGoal, Director of Corps Member Retention & Innovation at Teach For America, and Analyst at NYC Department of Education. Deepti also participated in the Education Pioneers Fellows and Americorps programs. A double Tarheel, she pursued undergraduate and graduate degrees at UNC Chapel Hill. What have you recently learned from a teacher? Our expectations for kids and how they manifest in our actions matter. Kids will rise to meet them. When and where were you learning at your best? At the New York City Department of Education in 2010. The learning curve was steep. I continue to use so much of what I learned at the NYC DOE. I would like to master coding. I would love to be able to build what I imagine. What is your favorite children's storybook character? My passport. It represents pride, privilege, and connection.